Vishnu Home Stay is located in Lajpat Nagar in Delhi. The hotel is located near the Jawahar Lal Nehru Stadium in Delhi. The famous Humayuns Tomb and Lotus temple are located within 20 minutes of driving distance from the hotel. 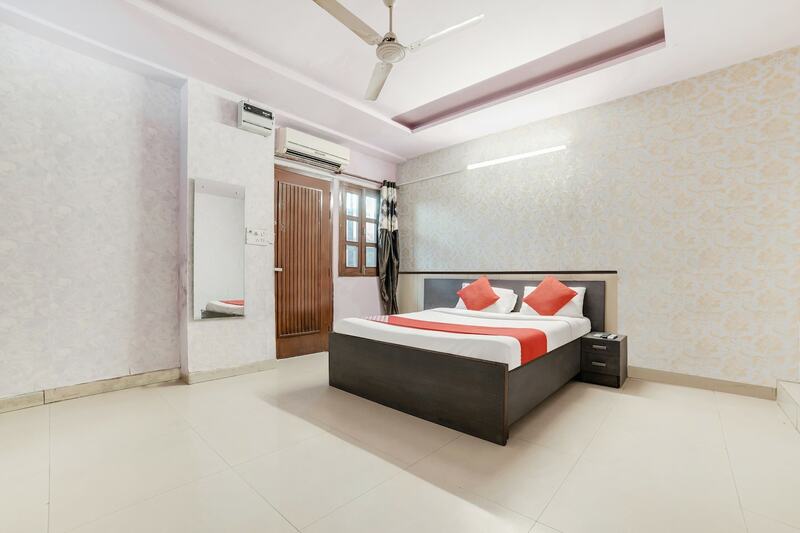 You can get the metro from the nearest station at Jangpura.The hotel offers a spacious pantry area for storage.This hotel has CCTV cameras, parking facility, seating area and card payment facility at the time of check in and check out. There are various restaurants and eating joints nearby like Barbeque Nation, Duggals Rasoi, Hong Kong express, Indian accent and Veggies kitchen.